This month our beloved server is turning 5 years! It doesn't matter if you are here from the beginning or not; we are all the same family. And to celebrate our history, on this month's challenge prepare yourself to battle some oldies. 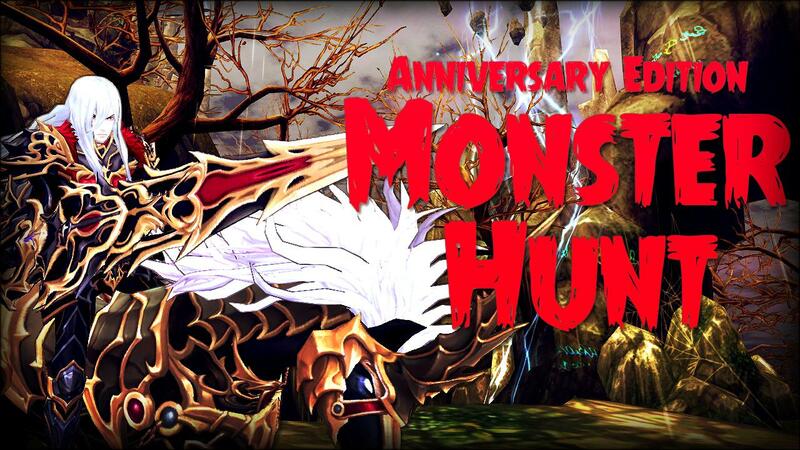 The Monster Hunt will take us down the memory lane, with some all time favourite enemies of Azuria! 5. Unlock Fifth Tier: New Pet! Keres WB, haha... Does that mean the world bosses are gonna come back? I noticed Astraea and Nazrudin in Crescent Hill and Helonia respectively don't seem to be spawning any more either that or i've missed them every time. At least Keres will after today's maintenance. I'm not sure if the fix affects the rest. Ahhhh~ Yay~ \o/ Those Challenges look fun this month! And Guild one is easy this time thank god. e.e Gives time to do the other challenges. Thank you!